Route 21 Construction Begins in Belleville, N.J.
(June 20, 1957) -- The Extension of Route 21 northward through Belleville and Nutley as a six-lane high-speed freeway, bordering the Passaic River, became a reality this week when the State Highway Department received eight bids for construction of a one-mile section from William Street past the Turnpike bridge to Roosevelt Avenue, in Belleville. The (illegible) Construction Company of Newark, was the lowest of the eight bidders, with its bid of $5,092,636.96. 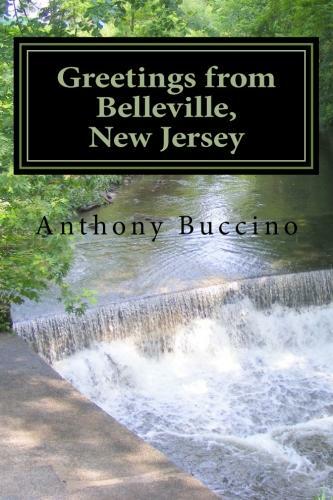 The state engineers' plans call for a wholly isolated freeway, independent of Main Street in Belleville and River Road in Nutley, except for limited points of access. No direct access driveways will be permitted on the freeway. The work is to begin about 200 feet north of Bayard Street. Between there and Rutgers Street, where the freeway will overpass the local road, Main Street, will be unlit. Its northbound traffic will use a 24-foot wide marginal on the freeway's east side and southbound Main Street traffic will use a similar new facility on the west side of the freeway. Main Street traffic will return to a single 40-foot wide relocated roadway at Rutgers Street. Between Rutgers Street and a point about 250 feet north of Academy Street, where it will rejoin existing Main Street, the local road will be on a new right of way immediately adjacent to the west side of the freeway. From the beginning of the freeway section to a point opposite Holmes Street, a distance of about 2,500 feet, the freeway will consist of two separate 28-foot wide concrete roadways. Each of the freeway roadways will accommodate three lanes of traffic and be separated by a 24-foot wide center mall. Both the center mall and the outside edge of the roadway pavement will be bordered by 10-inch concrete curb. From just north of the Rutgers Street overpass to near the end of the project there will be a dual-faced steel beam guard rail erected as a barrier in the middle of the center mall. The barrier is similar to the steel beam guard rail used throughout the state on the outer edges of highways to prevent vehicles from leaving the highways in areas where the roadways are higher than the adjacent ground. There will be ramp connections between Main Street and the southbound freeway roadway opposite Terry Street. Another ramp will connect the northbound freeway lanes with Main Street at the foot of Little Street.